Celebrating the 10th anniversary of Gurren Lagann comes this Proplica replica of the key item from the series. The drill's core glows green, and it plays sound effects, famous phrases, and the TV opening song Tenku Days (sung by Shokotan) and the theatrical opening song Happily Ever After. 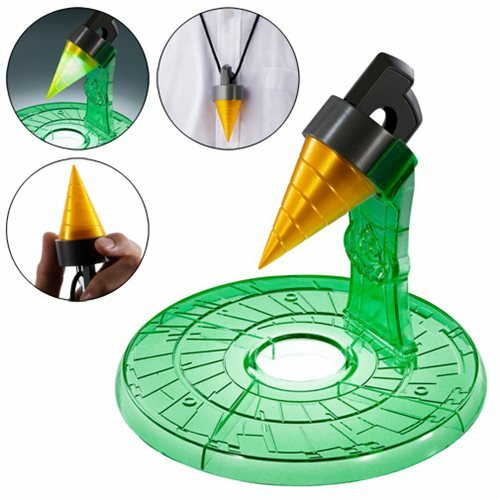 The Gurren Lagann Simon's Core Drill Proplica Prop Replica is the ultimate Gurren Lagann item! Comes with a stand, cord, and option parts. Measures about 3 9/10-inches tall. Ages 15 and up.